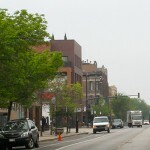 The Lakeview neighborhood is one of Chicago’s 77 community areas, and the second largest in population. Its borders are Irving Park, Diversey, North Ravenswood, and Lake Michigan to the east. Within you will find one of Chicago’s most popular neighborhoods; Lakeview was voted #3 by Money Magazine in its 2013 list of Top Big City Neighborhoods to Live. Lakeview is unofficially broken down into smaller areas, each with its own personality and charm. Wrigleyville, the area around the Chicago Cubs baseball field, is a sports fan’s dream, with many bars and a fun-loving culture during the summer. Roscoe Village and the Southport corridor are also concentrations of shops and restaurants, as well as Lincoln Avenue. Lakeview provides a wealth of different housing options for residents. Its many tree-lined streets house beautiful single-family homes, brownstone and greystone walk-ups, and other historic architecture. Along the lake, many high-rise buildings provide beautiful views and luxury amenities; mid-rise apartment buildings and lofts are available as well. Both buyers and renters will find plenty to choose from in this popular and diverse neighborhood. The Lakeview neighborhood is home to many fantastic restaurants, lively bars, and clubs. The area around Wrigley Field draws many tourists and sports fans, transforming the area to an excitingly vibrant place during home games.Its not all party time though – Lakeview has plenty of beautiful tree lined streets. Perfect for young families, you will see many strollers out on a bright sunny day. Parking in Lakeview can come at a premium, especially during special events such as Chicago Cubs home games and various festivals throughout the summer. Some areas require permits for residential parking – in general those streets west of Ashland are permit free, but be sure to check signs and zones in your area. During Cubs night games, parking in most of this area will require a special residential permit. Lakeview is served by the CTA’s Red, Brown, and Purple lines, linking the community to the downtown area and further north to Evanston, with the Brown Line running northwest through the Lincoln Square neighborhood. The CTA also operates many busses through the community, including the busy routes along Lake Shore Drive, providing express service to the downtown Loop.